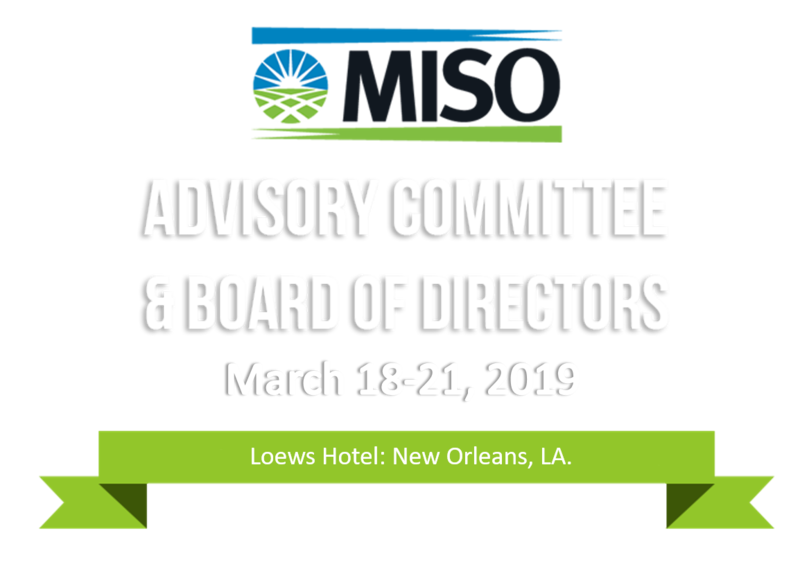 Please join us for MISO’s Advisory Committee and Board of Directors Week in New Orleans, LA. The week includes Entity Leadership Training on Monday, a Stakeholder Reception with MISO Board of Directors Tuesday, the Advisory Committee Hot Topic discussion on SEAMS Wednesday and the MISO Board of Directors’ meeting Thursday. Take advantage of the networking opportunities available for each day. We look forward to seeing you in New Orleans! If attending in person, registration is required by March 11, 2019.